Franklin Toyota is a family owned and operated dealership that caters to drivers in Statesboro and nearby Savannah, Georgia. Since 1973, we have been committed to delivering customer service excellence along with driver-friendly prices on all of our new and used vehicles and services. Every team member here at Franklin Toyota will go the extra mile for our customers, whether that be in our sales or finance department or our in-house Toyota service center. Come and experience the Franklin Toyota difference, where we are turning a dealership into a friendship! 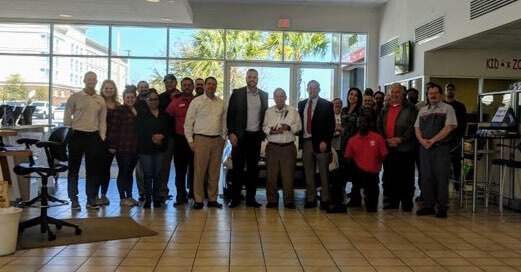 Franklin Toyota Receives the Southeast Toyota Elite Award! 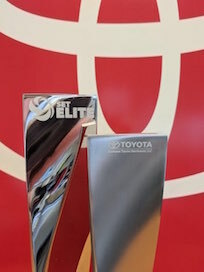 Franklin Toyota is proud to announce that we have been awarded with the SET Toyota Elite Award. Only the top 59 dealers in the entire Southeast Toyota region receive this prestigious award. To be eligible, a Toyota dealership must meet various requirements throughout all facets of the automotive business. Toyota's categories include strong service retention and sales retention, in addition to hitting sales objectives each month. And we know, without a doubt, that Statesboro helped us achieve this success. Without our customers and our community, we wouldn't exist so we send out our heartfelt thanks to you, Statesboro! Our dealership is a top source for brand-new Toyota vehicles and quality pre-owned cars for sale in Statesboro, GA. We stock the very latest Toyota models including the new Toyota RAV4 and Camry, and our prices are always competitive, whether you decide to finance or lease your new Toyota. Our sales associates are here to assist in your new or used car search, and the online tools you will find here on our website make shopping and comparing cars in our inventory simple. We invite you to get pre-approved for financing through our secure auto loan application, then stop by to meet with our sales staff and take your new Toyota or used car out for a test spin! Our finance staff is standing by to work with drivers of all credit levels, so shop and apply for a car loan or call Franklin Toyota at (912) 764-8090 today! Why Buy & Service at Franklin Toyota? At our full-service Toyota dealership serving Bulloch County, car buyers can enjoy our complimentary Franklin Toyota Warranty Forever program, which never expires and is offered on all of our new vehicles. Our modern service facility employs Toyota Certified and Master Certified technicians to ensure that your car is maintained and repaired the right way. From our affordably-priced inventory of new and used cars to our skilled service technicians and inviting customer lounge, there are many reasons to choose Franklin Toyota for all of your automotive needs!